Here are two of our most favorite Philippe Starck's tufted designs that'll surely withstand tough times (we're trying to use some pun here). 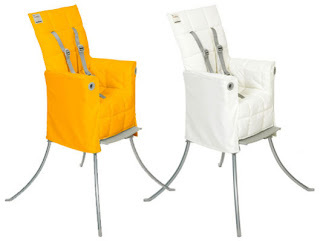 The Caprice Tufted Chair and The Starck High Chair. Click "Read More" to see how beautiful Philippe Starck's practical works of art are. 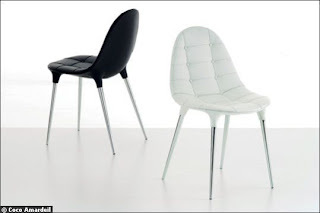 The Caprice chair was designed by French designer Philippe Stark for Cassina. 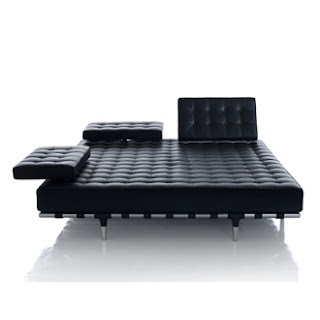 It blends Art Deco with the Populux style of the 50"s and 60"s and the very modern. Available in white and black, in quilted nylon or leather. The tufting doesn't stop for Philippe Starck. in his fun new vision of a baby high chair. Made for designer Maclaren, it is actually a travel high chair; its legs are removable for convenience when traveling, and the soft chair folds 3-dimensionally. Here again, Starck blends several design influences into the chair, but its statement is totally modern. Available in multiple colors from AllModern.com. There's a matching tufted diaper bag at All Modern as well.